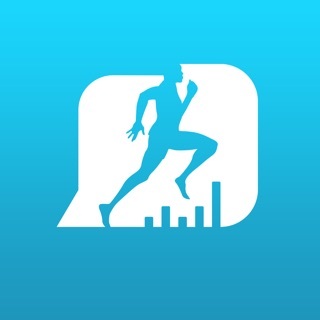 - Workout Management: Create, track, and record multiple fitness client's workouts online in one central location. - Progress Tracking: Track and chart fitness client progress on anything, from body-fat to waist-line to bench-press max. Charts are fully customizable. - Comparison Pictures: Take progress pictures in the app and store the photos. The app can even create a side by side image of photos you would like to compare. - Goal / Task Tracking: Assign goals or tasks to your clients that you both can monitor through the app. - Scheduling: Clients can request appointments on your calendar that you can approve. Both you and your clients get your own personal calendar. Managing your schedule is effortless. - Meal Planning: Create meal plans for your clients that they can view in the app from anywhere. - Integrated Interval Timer: Keep clients on track during their workouts without having to leave the app. - PAR-Q Forms: Have clients fill out PAR-Q forms on their phone or at their computer that the trainer can access from anywhere. Trainers can create custom PAR-Q's or use the standard one. Easily track progress to keep personal training clients involved, motivated and on-track. Progress tracking allows personal trainers to understand what works best for a fitness client and plan tailored workouts and meal plans based on what has previously worked. Graphically track any personal training stat: weight, BMI, body fat, maximum benchpress, and muscle measurements are just a few examples. Quickly create polished personal training workouts online that can be printed or accessed from any mobile device or computer. Plan and track exercises, weights, number of sets, rest-times, equipment settings and other parameters needed to help your personal training client succeed. Create your own exercise database complete with exercise video or exercise picture demonstrations or use ours. Stay organized with a central location to manage all of your fitness clients, their goals, contracts, documentation, your personal training schedule, and personal training client progress pictures. - Progress Notes can be entered in text. - Usability Improvements and Bug Fixes. I have found this app to be very helpful and intuitive. The only problem I have with it is that clients have complained that the messaging option is a little confusing. It would be helpful if they could just touch the notification and have it take them to the message. Also, it automatically takes them to the top of the workout every time their screen closes. It would be great if it could stay where they were at instead of resetting to the top. Other than that, I am loving it. It’s very simple to write plans and I love the demo feature. It is easy to add an exercise they do not feature in their library and link a video. Thank you for the feedback. We will have a simple messaging option in the next version. We have improved the workout screen so that it won't take them to the top of the workout if their screen closes for this next revision. Let us know if you have any other other feedback here or at admin@fitsw.com. Thank you! I love this app. It’s simple to use for trainer and client. Adding new exercises is very easy. It’s also more affordable than many other similar apps I’ve tried. My only issue (and this might just be because I have an iPhone SE with a smaller screen?) is that when I scroll to the bottom of a window (like the bottom the PARQ or the bottom of an edit exercise window) my on-screen keyboard covers up the last couple of text boxes. So I have to type without actually seeing what I’m typing. Otherwise, great! Fantastic app and proactive and responsive developers! I’ve been using FitSW to design and track my clients’ workouts for the past year. The app is so easy to set up and use, and the app developers are fantastic - they’re responsive and continually integrating new features and improvements into the software. It’s an integral part of my program.